Window Film FAQs | Titan Window Films Ltd. Learn more about the features and benefits of 3M Window Films for your home or business. Definitely! No one has more experience with window film than 3M. 3M was issued the very first patent on 3M Window Film in 1966 and today we are the only manufacturer that can produce our own polyesters, adhesives, metals and scratch-resistant coatings. This gives us the quality control and product consistency other manufacturers just can't match. What's more, we have a core of carefully screened authorized dealers who are trained by 3M to professionally install your 3M Window Film correctly. And 3M Window Film is backed by a warranty that covers 100% of materials and labor. It's the most comprehensive warranty you can get. 3M films are professionally applied by skilled, Titan Window Films installers. Almost all of our films are designed to be applied to the inside of your glass. No, 3M Window Films require professional application; Titan Window Films is an authorized 3M Window Film Dealer & Applicator. Our installers are thoroughly trained and experienced in performing high quality work. In this way, our customers will enjoy the benefits of 3M Window Films and have the comfort of the 3M warranty. After thirty (30) days, you may clean 3M™ Films using normal household cleaning solutions, including ammonia based products: e.g., Windex, and a soft, lint-free cloth or towel. You may also use a squeegee to clean the films. 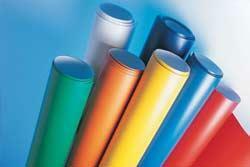 Abrasive products which would scratch or damage the film should not be used. 3M Window Films are made to last for many years. The exact length of time depends upon the type of film applied, window orientation, type of glass it is applied to and the particular climate in which it is applied. Most applications last well beyond the warranty length. 3M's forty plus years of experience with applying 3M Window Films to different types of glass enables us to make proper film/glass recommendations and minimize the potential for glass breakage. In addition, we support these recommendations with our 60-month glass breakage warranty against thermal shock fracture. Should the glass break within 60-months of application, 3M; will replace the glass (maximum $500.00), and the dealer will replace the film. We suggest allowing thirty days for the film to fully dry and cure. During this curing process, it is normal to have small water bubbles and/or a hazy appearance. These will disappear as the film dries; depending upon the film type and weather conditions, drying may take as much as 30 (or even 45) days, or as little as a few days. Once dried, 3M Window Films will look great and perform for many years to come. Do 3M Window Films cause seal failure when applied to insulated windows? No, 3M Window Films do not cause seal failure. We've been applying 3M Window Films to insulated windows for many years with several millions of square feet of film applied to date. 3M Low E Films work much in the same way as the sun control films except that they offer an increased performance against cold weather heat loss. The patented construction of these films enables the metal coating to reflect more of the interior room heat back into the room where it is needed. This improves personal comfort by reducing cold spots near windows and can help save on fuel costs, especially in commercial buildings. These low-e films are also protected with our patented abrasion resistant coating for long-term durability and maintained appearance. Call 3M Titan Window Films to analyze the potential energy savings in your commercial property. Compared to 3M™ Sun Control Window Films, 3M Safety & Security Window Films are made with thicker polyester and a much thicker, more aggressive adhesive. 3M Ultra Safety & Security Window Films are unique in the industry; they are built using a special micro-layered polyester technology which increases the films' tear resistance significantly. The impact and tear resistance of Ultra films outperform all other films of similar thickness. Are 3M Safety & Security Window Films Bullet-proof? Burglar-proof? 3M Safety & Security Window Films are a low profile, high performance measure of security in the battle against 'smash and grab' crime. The tough, shatter-resistant qualities of the film can hold the window glass together even if a brick (or similar object) were actually to pass through the glass. The thief must now make a choice; continue to attack this window, try another window, or move on. Time is short, and often they move on. However, if they are determined to gain entry, they will get in. It is generally recommended that the property have proper alarm systems in addition to 3M Safety & Security Window Film.